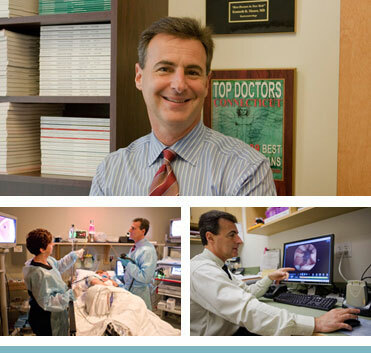 Ken is the Medical director of The Endoscopy Center of Fairfield and the Endoscopy Suite at St Vincent’s Medical center in Bridgeport, CT. He is also a Clinical Instructor in the Department of Gastroenterology at Mt. Sinai Medical Center in New York City. His professional interests include Gastrointestinal Endoscopy with particular expertise in ERCP and Capsule Endoscopy in addition to the diagnosis and management of Inflammatory Bowel Disease (Crohn’s Disease and Ulcerative Colitis). Listed in best Doctors in New York Magazine, Connecticut Magazine, Westport Magazine, Greenwich Magazine and Darien and New Canaan Magazines. Cited in Castle and Connolly list of the Best Doctors in the New York Metro Area from 1998. Ken is a big Yankee Fan but will treat both Red Sox and Mets fans.